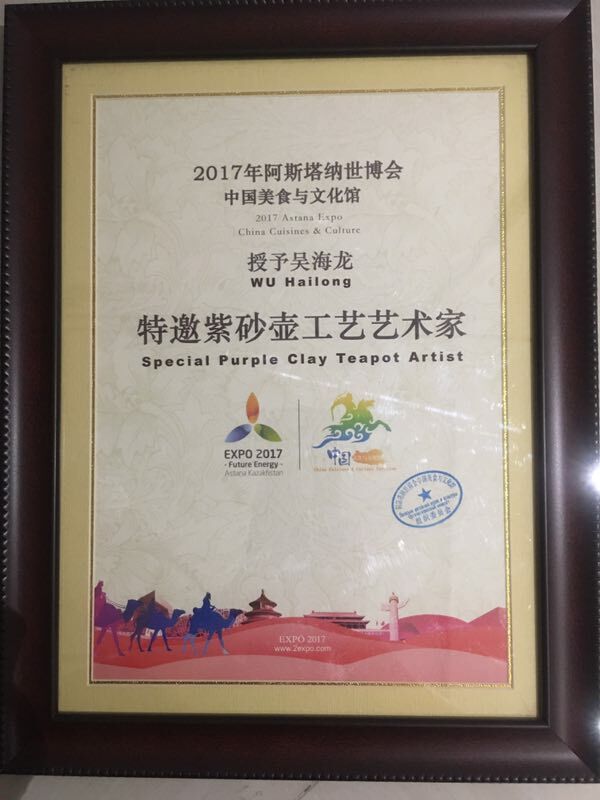 Purple sand pottery master wu: oh international trademark fifth generation of heritage, arts and crafts master of China, China country gift for the artist, member of China arts and crafts association, recommended design masters, China cultural heritage protection inheritance characters (purple) design and manufacture, violet arenaceous committee deputy secretary general of jiangsu collector association, jiangsu cross-strait cultural exchanges, art institute of sichuan culture Shang Yongtong visiting professor at the college, china-arab economic cooperation and trade BBS art propaganda ambassador, oh ceramic purple sand art museum curator. 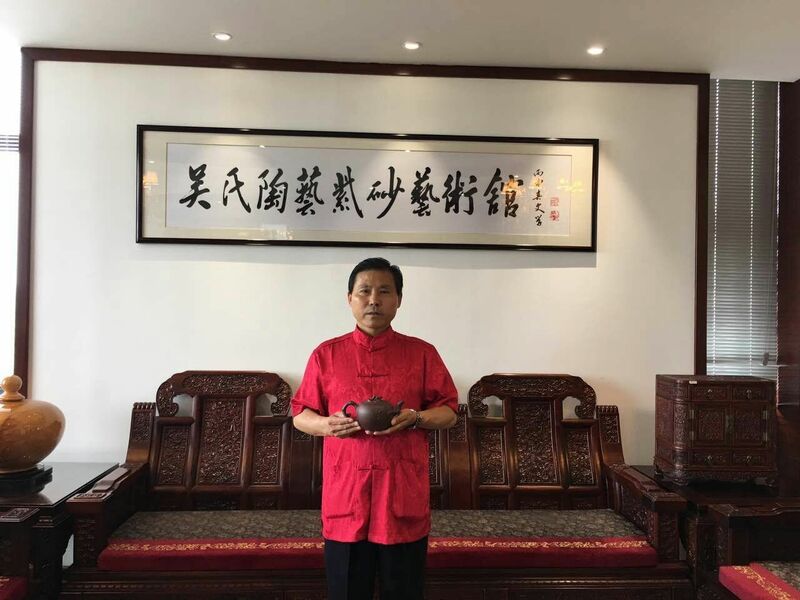 Master wu hailong was born in 1965 in yixing, jiangsu province, a place rich in purple sand mineral resources, outstanding people and outstanding land. Starting from the roc Taiwan international trademark master wu ZuXun family, can only use 30 years ago to fifty years ago stale quality undressed ore old purple sand clay pot, the ancestral deposit mud all habits, can check according to the data of master wu handed down in the current master ore old violet arenaceous mud hundreds of tons, are a big part of more than 50 years ago old violet arenaceous mud, occupy the top in all natural mine resources available nowadays, no one can and. 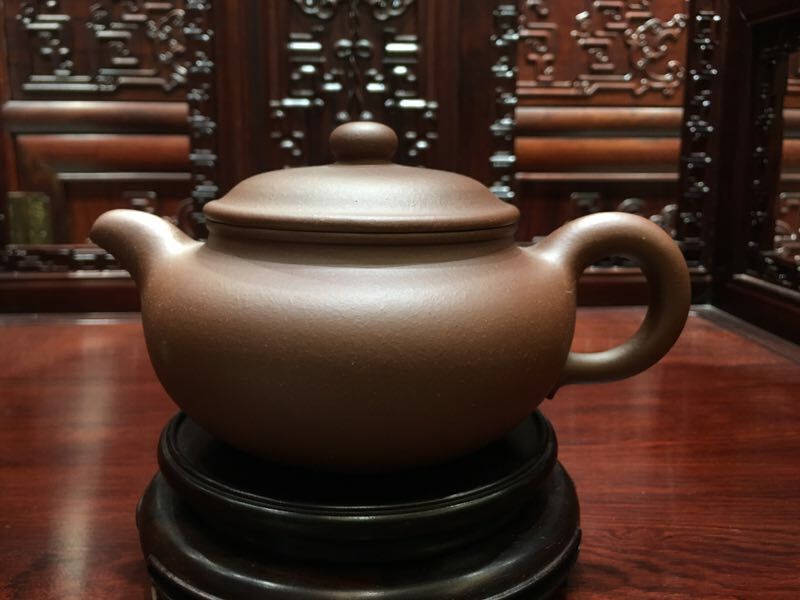 This also achieved wu hailong to make every purple sand pot clay material of pure texture, fine workmanship, each piece to create high-quality goods, all belong to excellent work, become the collection of people in pursuit of the national ceremony level collection. 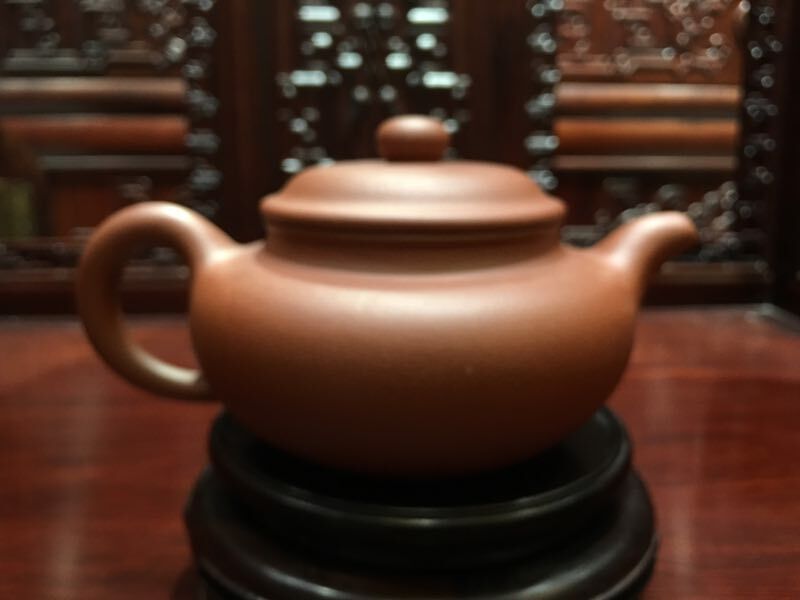 Yixing day soil, wu men out of the pottery. 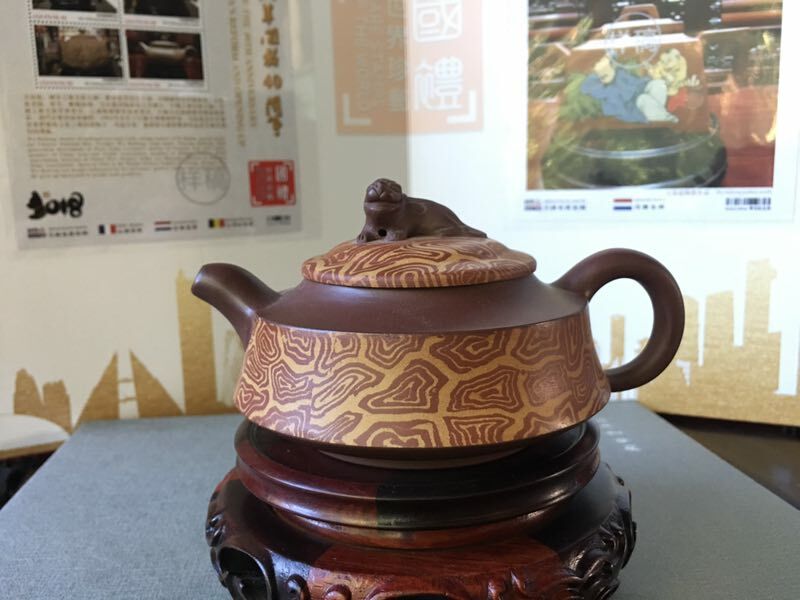 After ceramics, jade carving and other traditional crafts, purple sand has become a national art. A surplus grasp, all the children in a cuddle, on the old dew against zhuang, the next bubble of the spring of Confucianism and Buddhism. Zen do not look at the world, a handful of purple sand release tianji. Five generations of purple sand art heritage and accumulation and the master wu nurture innovation, make the works by masters in wu reaped tremendous amount of national honor, behind this series of honor, is a master wu love of purple sand art, the inheritance of the Chinese intangible cultural heritage the sense of responsibility, prompting his tireless, walk the line to study, through a variety of opportunity approach with the global international artists from all walks of life cooperation and communication, and expand his vision and creative inspiration. 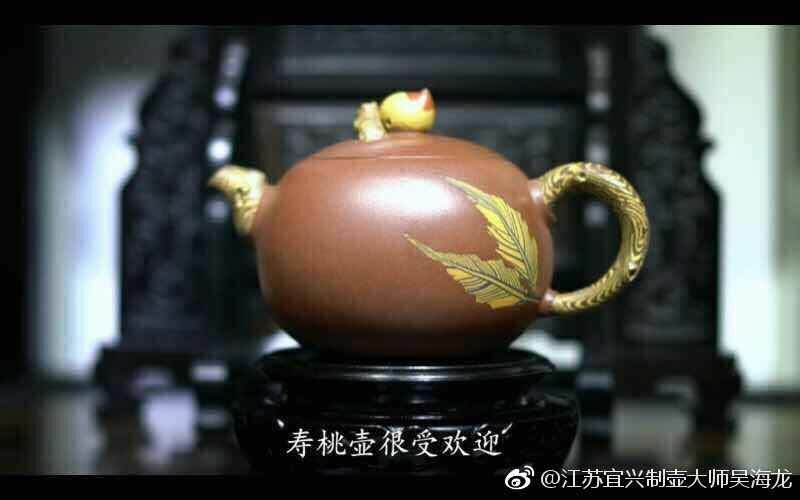 Master wu hailong's persistent pursuit of purple sand technology and exquisite technology has also been the local government and purple sand industry li changhong, lu yaochen and other masters highly praised, said that it is a few years for purple sand technology wizards, national master of arts and crafts worthy! 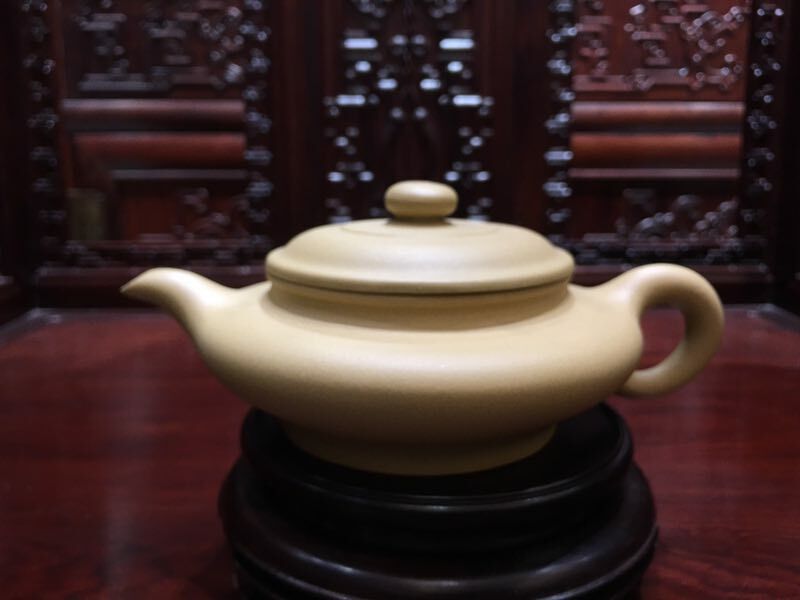 Sasac approved the establishment of the "national professional credit evaluation network - information database of traditional Chinese craftsmanship", for which the establishment of a personal exclusive certification of traditional Chinese craftsmanship master home page. At present, this expert database only contains the information of national non-inheritors, national masters and provincial masters. Mainly for the future to carry out a series of foreign affairs activities to provide human resources and big data information. 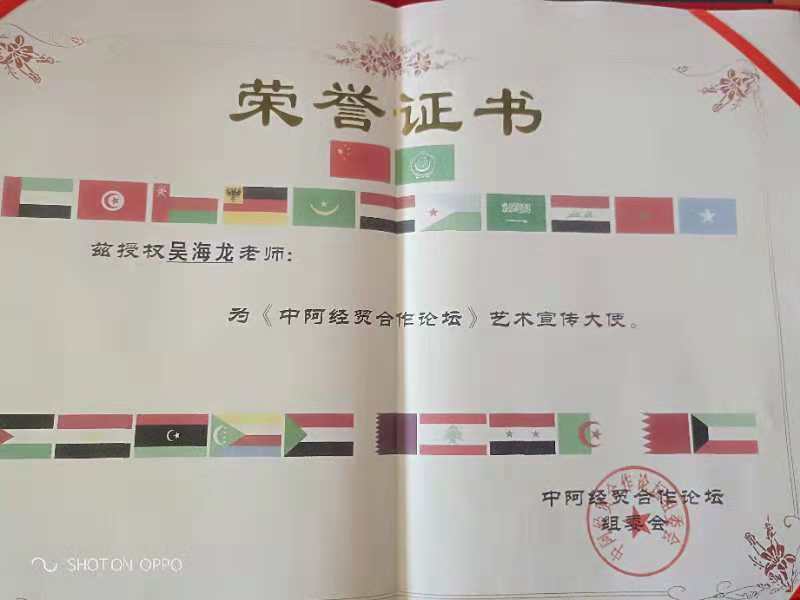 Is the ministry of culture and the ministry of tourism after the merger of the only industry and the United States of America skills certification certificate, fully prove that master wu hailong keep up with the pace of The Times, the forward-looking vision of advancing with The Times, dare to be the first spirit of innovation, by the national leaders highly evaluated and recognized! He was invited to visit more than One Belt And One Road countries and brics countries. 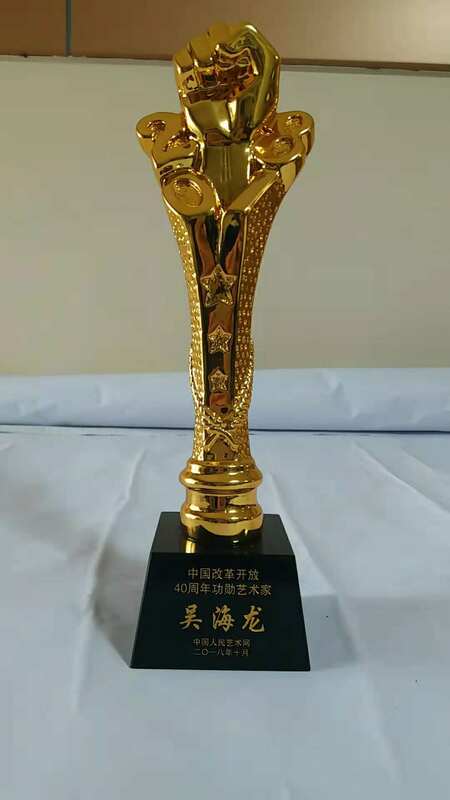 In 2017, it won the title of "brand 315 honest entrepreneur". 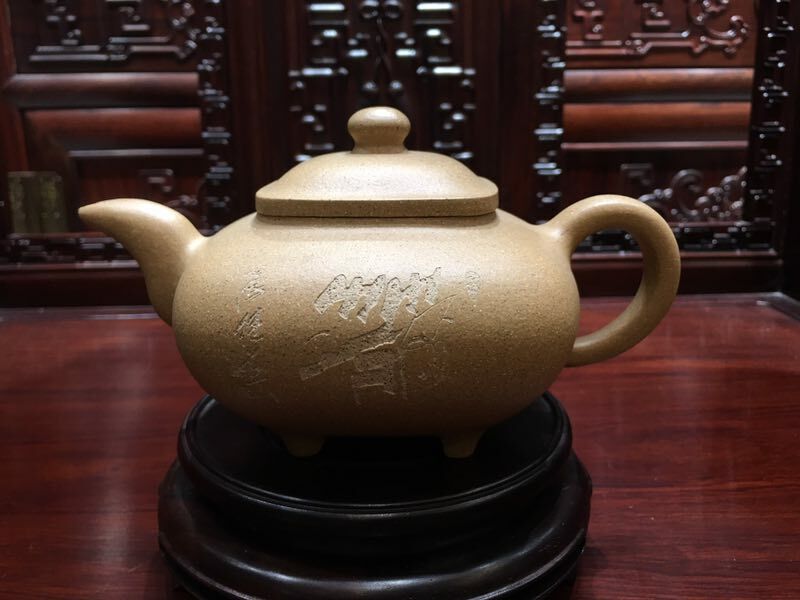 The honorable title of "integrity zisha artist" makes "wu jinding" go to the world, become famous at home and abroad, and be favored by the vast number of collectors at home and abroad. In 2017, Thailand's pro-king subo bamo, Thai princess bamo elegance, princess bamo yaya and other Thai royal families visited the wuhailong purple sand art museum for a two-day visit. 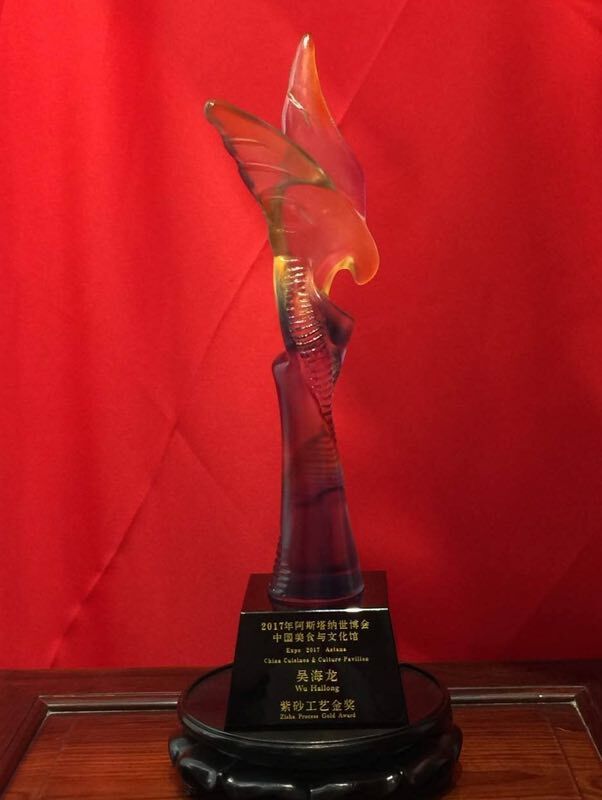 In 2017, Silicon valley mayor's delegation to China is led by California Congressman Devon Mathis(Devon Mathis), mayor Carol Dutra dialect I of union city, mayor Jason Baker of Campbell city, former mayor of menlo park/current Congressman Catherine Carlton(Catherine Carlton), and former mayor Gilbert of cupertino city A delegation of 16 people, including Wong and other us officials, mayor of silicon valley, California lawmakers, well-known entrepreneurs and economists, specially went to wu hailong purple sand art museum for cultural exchange. 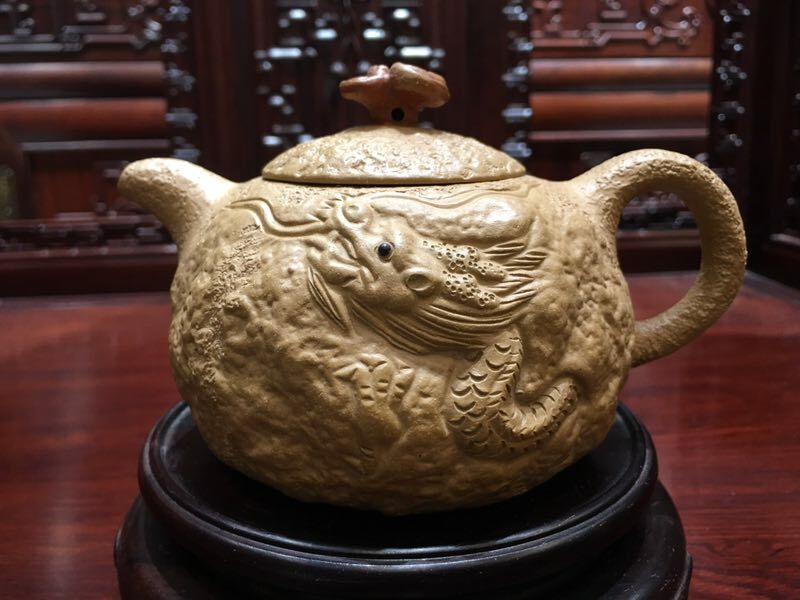 In November 2018, master wu hailong, as an outstanding representative of traditional Chinese craftsmanship, was invited to attend the "west lake night" international outlook BBS hosted by Mr. Ban ki-moon, former secretary-general of the United Nations. He also attended the meeting with the party secretary of zhejiang province, prime minister of New Zealand and other political leaders, which had a wide influence in the industry. 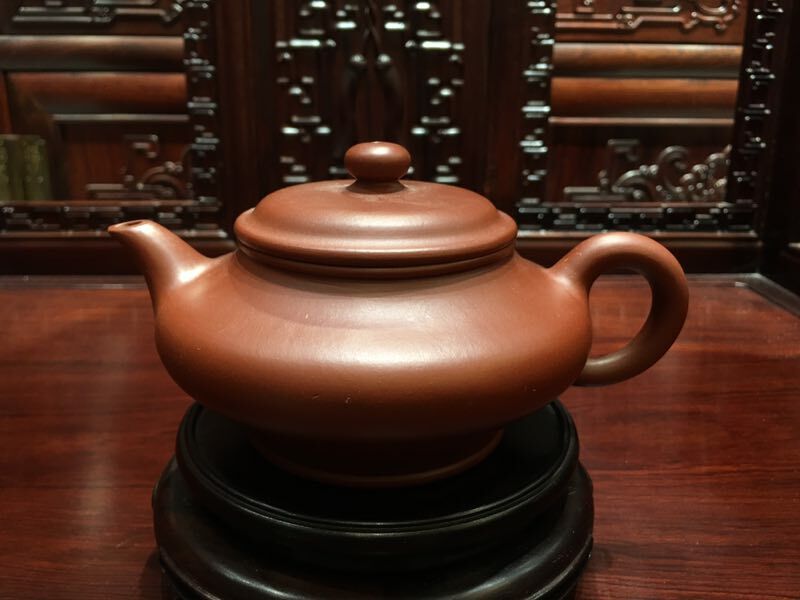 Zisha, as a representative of traditional Chinese culture, is a unique intangible cultural heritage, which is highly respected and loved by domestic and international cultural circles. 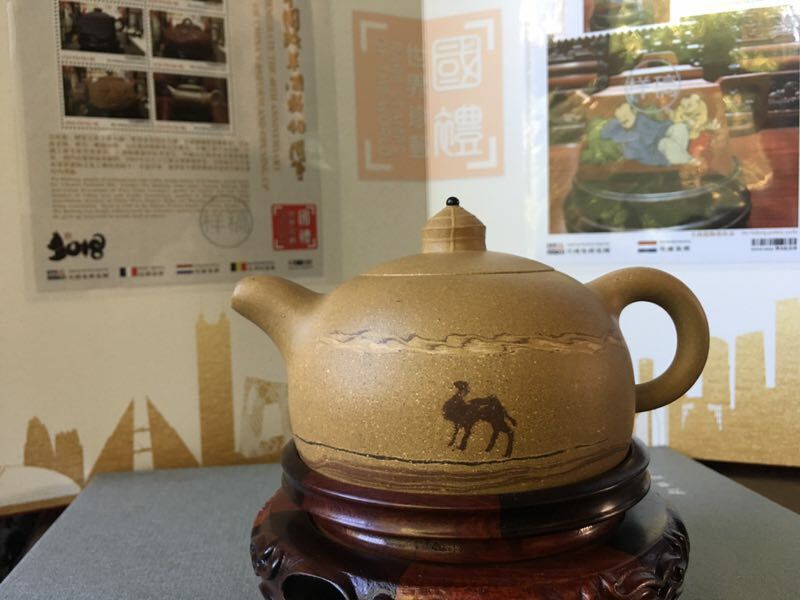 As the country attaches great importance to traditional culture, zisha culture is ushering in the spring of artistic creation. 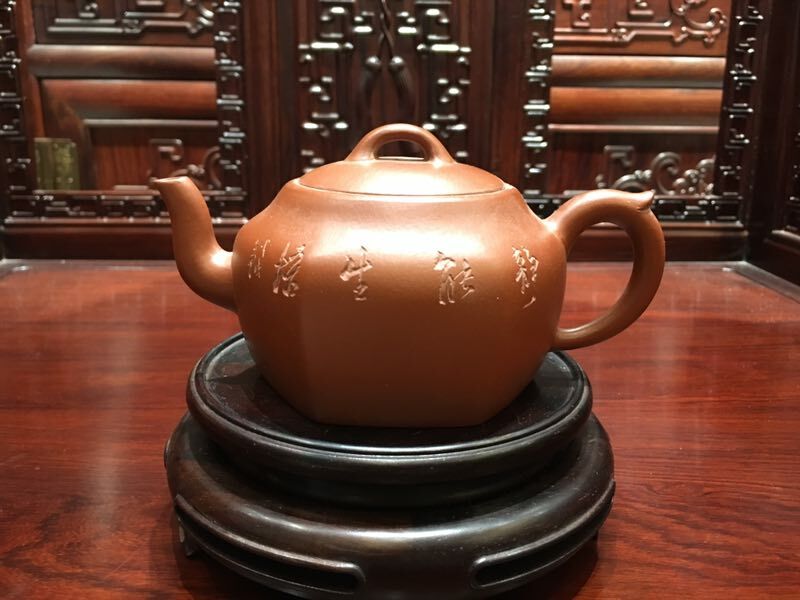 Master wu hailong received numerous honors and praises in his life. 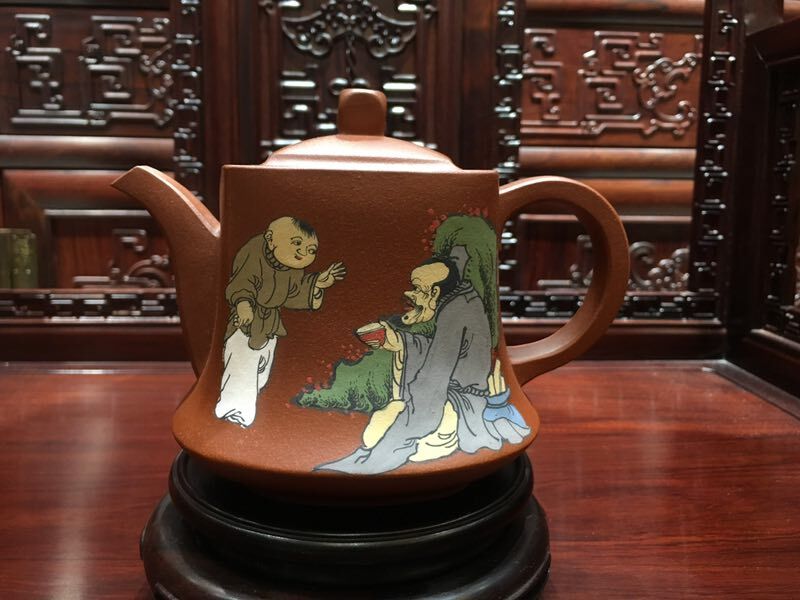 Master wu always adheres to the ancestral motto, keeps a low profile, and does not get tired of fame. Finally, he has achieved his unique skills. 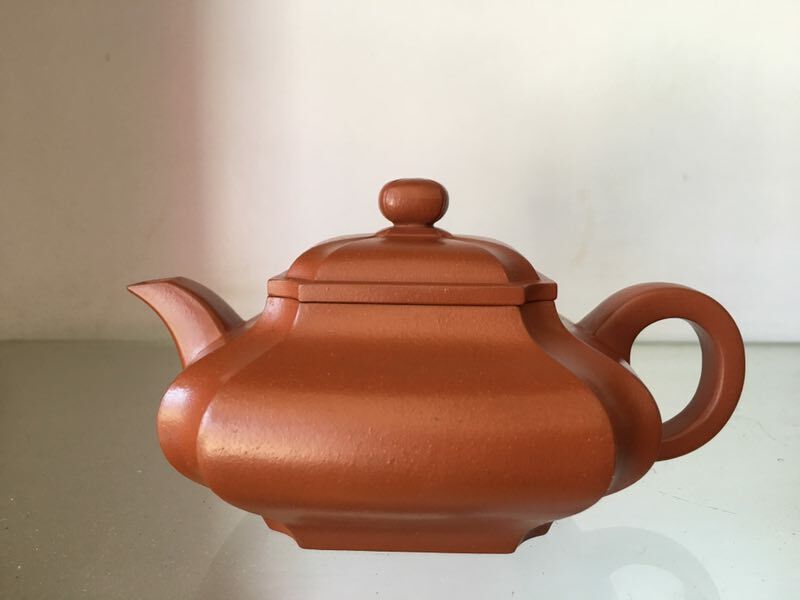 He report "good work not to show pu", jing xin craftsman, carefully do art, indifferent to fame and wealth, steadfast adhering to their own: "life only do one thing, one thing only with a heart" concept, indulged in zisha art research and production.